The three qualities of an effective property manager are transparency, maintenance capabilities, and limited scope. As the owner of a property management company myself, here's why I believe these three qualities matter. Transparency is the cornerstone of trust. Property owners and real estate investors place huge amounts of trust in a property manager when hiring them. There have been publicized instances of property managers collecting rent and not reporting it, or charging for work that wasn't actually performed. The best way to reduce risk is to read all of the available reviews for the property management company you are researching. If there are only a few reviews and the company claims to have been in business for an extended period of time, be wary; because nowadays, it is of the upmost importance to delight customers in the hopes that they will become promotors of your business. Any business that does not put an emphasis on delighting its customers and clients is likely not providing exceptional value. Once you find a property manager that has a proven track record of positive reviews and straightforward services and pricing, you will need to learn about the capabilities of the organization. Maintenance is usually the biggest expense that a property owner will encounter; so it's also the biggest potential pitfall if mismanaged. Maintenance subcontractors add risk to your business. A property manager is only as good as the resources they have: Do they have an in-house maintenance department? Do they have an in-house turnover crew to get units ready for advertising quickly? Are maintenance personnel full-time employees, or do they use subcontractors often? These questions can help you to find out how much control the property management company has on maintenance and turnover quality. If a property manager utilizes subcontractors often, it becomes almost impossible to ensure quality, keep prices down, and enforce deadlines. A subcontractor is in business for themselves, and therefore has an incentive to perform work that provides the highest profit margin. These incentives don't align with property managers' goals, who are looking to reduce costs, maintain quality, and complete projects quickly. Therefore, the best property management companies have a full-time maintenance staff, along with in-house maintenance and turnover departments. If the company is transparent and has strong maintenance capabilities, the last item I would suggest is to make sure the company has a limited scope of practices. Resources are limited, so don't settle for part-time managers, or those with other responsibilities. Real estate agents, brokers, and even contractors will often attempt to add a property management practice to their core business model. Real estate brokerages that handle sales will be tempted to start managing properties, as clients inquire about finding a property manager or ask if they provide management services. Contractors will sometimes have landlord clients that look to be relieved of the management responsibility. These are some classic examples of property managers not to hire. If a company is not exclusively focused on managing rental property, then they simply cannot be the best option for you to hire. The same is true for a property management company that branches out into sales. Property management is a difficult profession to excel at, and attempting to do it as a side business can only result in below-average performance. That's why I would personally recommend finding a property manager who owns rental property themselves and is primarily focused on property management. Specialization is the key trait for top performers in any field. Avoid those who water down their effectiveness with a lack of focus. 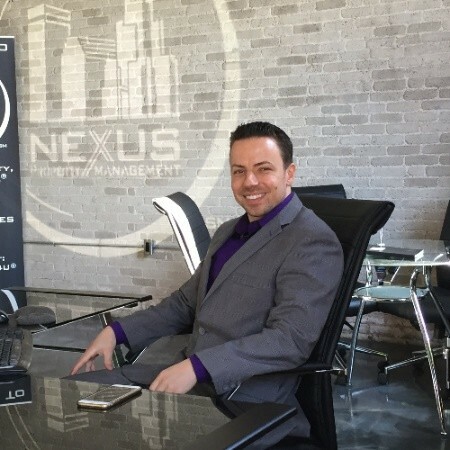 Nick D’Agnillo is the CEO & Founder of Nexus Property Management, a national property management franchise. Our offices in Pawtucket, RI; Fall River, MA; and Destin, FL manage all types of rental property, from single family homes or condos to large apartment buildings and complexes.